Pentax announced a new entry-level digital SLR today. The new Pentax K-x SLR succeeds their popular K2000 as an affordable, yet fairly feature-rich entry-level solution. The Pentax K-x is also the first digital SLR to come in your choice of four colors (besides the regular black and silver). Well, Samsung did announce two ‘compact’ super-zoom cameras earlier this year, the HZ10W/WB500 and HZ15W/WB550 cameras but today, they finally took the wraps off their first ultra-zoom camera. The new Samsung WB5000 packs a 24X zoom lens, a RAW mode, HD movie recording and more. 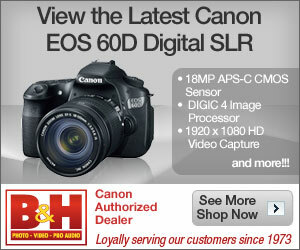 Canon just announced their new mid-range digital SLR today, the fabled EOS 7D. As it turns out, the camera isn’t really a “full frame 5D Mark II Lite” as many had hoped for, but instead sits between the EOS 50D and EOS 1D Mark III models (which are APS-C and APS-H crop models respectively). Sony finally unveiled their new Alpha A850 today. The Sony Alpha A850 is the latest ‘affordable’ full-frame digital SLR in the market. Apparently Sony wants more recruits joining their Alpha SLR system and so the price tag of the camera is EVEN lower than anticipated. Yup, this full-frame camera can be had for just $2000, new. Canon unveils new digital cameras for fall 2009! If you’ve been waiting since PMA 2009 for plenty of cameras to ogle at, today’s your day. Canon just unveiled SIX (!) new digital cameras today, including the much-awaited successor to the G10, the PowerShot G11, along with a pleasant surprise – the S-series of ‘mini G’ cameras is back with the PowerShot S90.